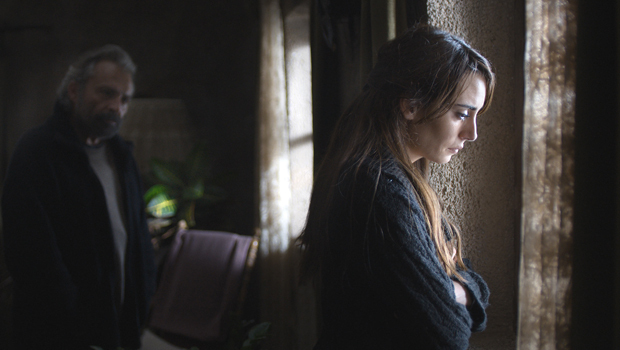 CANNES, France - The Turkish drama "Winter Sleep" won the top honor at the 67th Cannes Film Festival Saturday. The intimate and languorous character study, set in a small town in Anatolia, was considered by critics a front-runner for the Palme d'Or, and was praised by Variety film critic Justin Chang as "the least boring 196-minute movie ever made." The film's director, Nuri Bilge Ceylan, had won the festival's Grand Prix twice before, most recently for the haunting "Once Upon a Time in Anatolia" (2011). Julianne Moore won the Best Actress award for "Maps to the Stars," David Cronenberg's caustic tale of Los Angeles. Moore was not present to accept the prize. Timothy Spall, a longtime veteran of Mike Leigh's films, won the Best Actor award for his title role in "Mr. Turner," Leigh's biopic of the 19th century English painter. In his emotional speech in which he referred to his fight against leukemia, Spall thanked God that he was still alive. Bennett Miller won the Best Director award for his wrestling drama "Foxcatcher," which stars Channing Tatum, Steve Carell and Mark Ruffalo. Based on a true story, it stars Channing Tatum and Mark Ruffalo as Olympic wrestlers Mark and Dave Schultz, and Steve Carell as their wealthy sponsor -- who is found guilty of the murder of one of the athletes. "Foxcatcher" explores the relationship between the brothers and their eccentric, paranoid delusional benefactor. "I would like to dedicate this award to the cast," Miller said. "It's amazing to have people who believe in you. It's extremely rewarding." "Leviathan," a Russian parable that also made pointed attacks on contemporary Russia, won the Best Screenplay award. The Camera d'Or, for best first feature, went to "Party Girl," a verite-style dramedy about an older woman delving into the nightlife scene. Palme d'Or: Nuri Bilge Ceylan, "Winter Sleep"
Grand Prix (runner-up): Alice Rohrwacher, "The Wonders (Le Meraviglie)"
Jury Prize (tie): Xavier Dolan, "Mommy"; and Jean-Luc Goddard, "Goodbye to Language"
Best Actor: Timothy Spall, "Mr. Turner"
Best Screenplay: Andrey Zvyagintsev and Oleg Negin, "Leviathan"
Camera d'Or: Marie Amachoukeli, Claire Burger and Samuel Theis, "Party Girl"